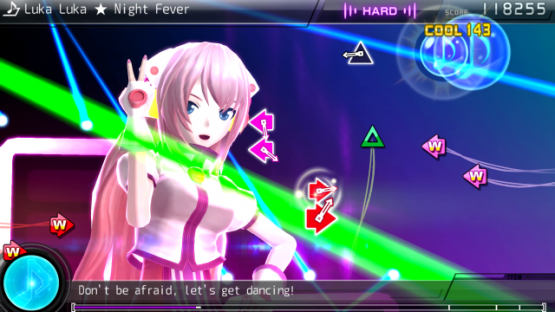 Hatsune Miku: Project Diva F 2nd is the second rhythm J-pop game in the series that is very much made for J-pop fans. Hatsune Miku and her friends perform many dazzling songs, while you mash away at the buttons and test your rhythm skills. Previously, our own Heath Hindman reviewed the import version, which you can read right here. 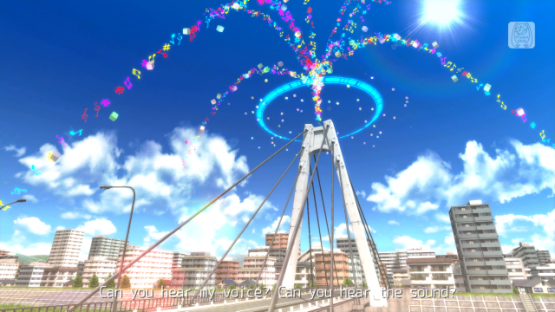 This game is unique from other rhythm games in that the way the prompts appear is not linear, but all over the screen in a fluid and moving patterns. The timing is represented by little clock hands that reach the top of the corresponding button’s symbol right when you should press them. Button symbols will also fly from across the screen towards their corresponding clock to more visually represent the feeling of the rhythm. This game get’s pretty technical, and can be a blast for those who love to challenge themselves with fancy fingerwork while listening to catchy J-pop songs performed by famous vocaloids. Easy difficulty is doable, but normal gets noticeably more challenging. Hard and extreme modes have to be unlocked by completing songs on normal, much to my disappointment. With the normal difficulty ramped up way too much from easy, I just wanted to experience what extreme was like but couldn’t access it, even if just to amuse myself with failure. The main hurdle to completing each level successfully is being able to actually see the button prompts. The entire game is very colorful, and rightfully so. However, this means that it’s very hard to visually discern where and what the next button is against the moving, colorful performance in the background. I can only imagine how much more confusing this gets on the harder difficulties. Sometimes it felt like a test of my cat-like (or T-Rex-like?) eyesight than my sense of rhythm. Now, for super fans of the genre, there are some odd yet intriguing features to this game that are somewhat below the surface worth noting. For one, you can watch each performer as they relax in their respective “diva rooms,” and even purchase items and decorations for them. This is kind of creepy sometimes, as it feels like they are in some sort of isolation room and you get to spy on them, but it can be kind of interesting to give them jukeboxes with custom music to listen to, among other things. Oh, and you get to pat them on the head or poke them to build up or break down your relationship with them. This part of the game seemed really out-there to me, but it was pretty interesting to try it out. One really huge feature that can be overlooked is the ability to create your own songs, rhythm and performance included. The editing gets really detailed and in-depth here, down to the height of your performers, custom lyrics to your song, and specific button target paths. Gamers who get really inspired by this game will absolutely love spending time creating their very own songs set to any MP3 loaded on their system. The amount of detail in this Edit Mode is vast and valuable to many who will play the game. 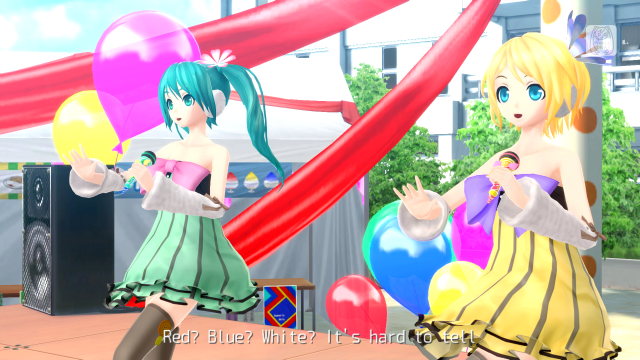 Hatsune Miku: Project Diva F 2nd is a solid rhythm game that will definitely challenge you and provide fascinating fun for many different audiences with tons of customization, unlockables, and interesting features. I personally would not seek out this game as a source of entertainment, but I can see the appeal that it has for other gamers. The difficulty curve and the J-pop focus are what make the game not as enjoyable for me, even though I liked watching the performances. I actually like watching this game be played more than actually playing it. The amount of enjoyment I get out of doing the button-pressing is less than what I get from being able to watch the pretty animation. Hatsune Miku: Project Diva F 2nd review copy provided by publisher. Reviewed on PS3. For more information on scoring, see our Review Policy here.